Free Entry – Be it historical or contemporary, a grand love story or the gripping tale of a torrid affair, through December 15, 2016, submit your Romance novel for the chance to win prizes and be read by judges from Macmillan, Penguin Random House, and Hachette Book Group. This is an open call for writers of romance novels targeted towards an adult audience or a young adult/adult crossover audience. 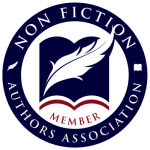 First prize $200, consultation, and submission to partner publishers and agents. Second prize $100 and same. Third prize $50 and submission to partner publishers and agents. Novels must be a minimum of 40,000 words (although submissions can be a 30-page sample of the full manuscript).